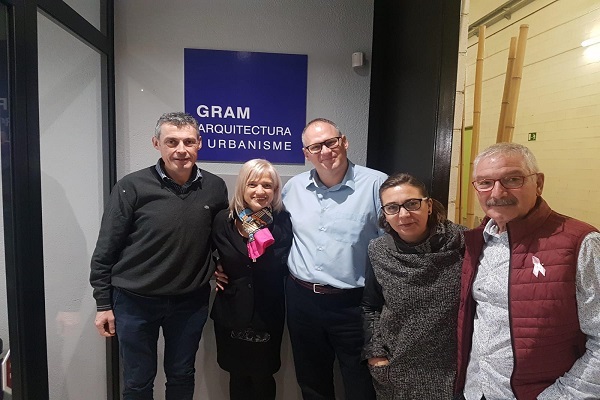 The last Wednesday, November 7th, Mrs. Pilar Díaz, mayor of Esplugues de Llobregat, city where the main office is located, came to visit in GRAM ARQUITECTURA. In this way, she has been able to known the current projects and to see the day to day of the company. This appointment, is part of a series of visits by the most prominent companies in the city, whit the aim of knowing better the business and promote growth and communication.